A new location in Idaho now has VR. Welcome to the family East Bonner County Library located in Sandpoint! The library launched their VR room at the beginning of the month and the response thus far has been fantastic with users blown away by, “how real experiences felt.” We caught up with them to learn more about what they’re doing. The dedicated VR room is outfitted with a Vive Pro headset,and gaming desktop computer system TV with the base stations mounted to the wall. The space can accommodate 5-7 people at one time with plenty of room for the user. 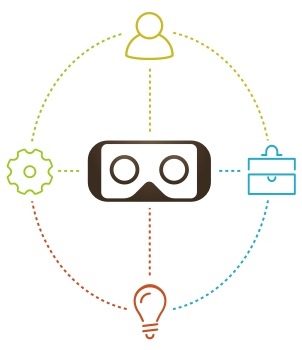 A staff member is there to help users select their experience and get in and out of VR. To better manage users they’re exploring different reservation systems and are using Springboard to monitor the VR system, game statistics and usage. Currently they have free 15 minute Virtual Reality walk-in sessions every Tuesday and Wednesday from 3 - 6pm with the hope to expand hours to include Saturdays once more staff is trained. Overall, they’re very excited about where they see their VR programming headed. Their goal is to teach classes and spark interest in career opportunities around the technology. They’d like to add some additional VR systems for their younger patrons and implement a Maker VR program. To continue improving the user experience, they have their eyes set on getting a wireless adapter for the headset. We’re excited to see where they take their VR programming and are thrilled to see more locations for Idahoans to access VR around the state!